There are individuals. And then there are extraordinary individuals who have values that encompass things like, “stay focused on the job and don’t quit.” And such is the case of Colonel John C. Walker, former Jacksonville High School (JHS) student, and today, the commander of the Incirlik Air Base in Turkey. 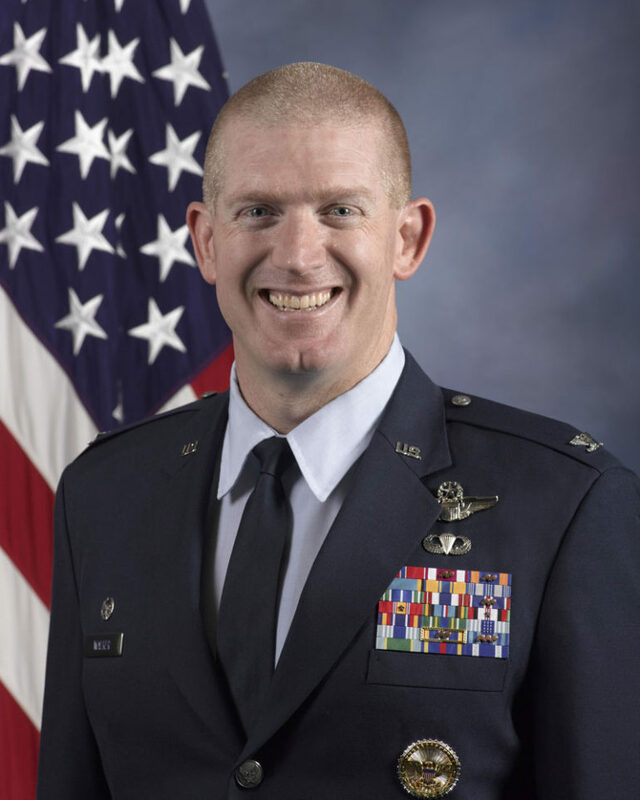 Graduating from Jacksonville High School in 1989, Walker headed off to the U.S. Air Force Academy, where he received his commission in 1993. The following two+ decades were full for him as he logged over 2,600 flight hours, 200 of which were in combat as he served in Operation Southern Watch and Operation Iraqi Freedom. His most recent tour took him to southeast Turkey where he commanded approximately 5,000 U.S. military, civilian and contractor personnel. In addition to commanding a vast array of personnel, Walker oversaw the combat readiness of U.S. Air Force units at Incirlik and five geographically separated units in Turkey. In sharing with us about his life and work there, he began by saying that a “normal day” is a little hard to define. Walker explained, “When you’re running a big airbase with a slew of combat aircraft from the U.S. Army, Navy, Air Force and Marines, [and with those], you’re conducting 24/7 combat operations over Iraq and Syria … [you’re] really, really busy running a machine that never stops!” That’s his normal.